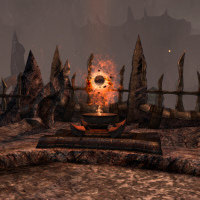 Zenimax posted an Ask us Anything article on Craglorn, the first adventure zone in ESO. In the article they confirm that the future content updates will not be focusing on group content only – you can expect a larger variety of content. Here’s a bullet point summary of the article. You’ll be eligible for weekly rewards regardless of how well your group does on the leaderboards. Trials also drop normal loot & there’s other unique gear in Craglorn. The top of the leaderboards will have some extra rewards. The time for Trials only matters if you aim to be at the top spots on the leaderboards. Completing the Trial on its own will give rewards regardless of your group’s time. There will be no new racial crafting style motifs in Craglorn / Trials. The estimated length of a Trial will vary between 30 minutes and 1h 30 minutes depending how good your group is. Each alliance has an identical version of Craglorn, and the zone will function very much like Coldharbour does. The resurrection limit for Trials is currently 60 for the group, but the number isn’t set on stone & Zenimax are still tweaking things. You can enter the Trials by through the physical entrance or by using the Group Finder tool. The overland terrain of Craglorn is not instanced to your group, but Delves and Points of Interests are.